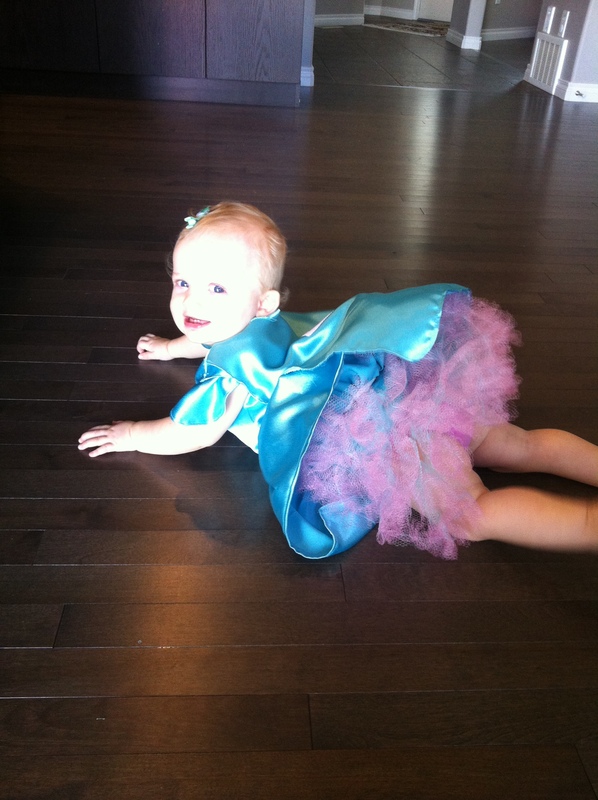 Our sweet little daughter, Anna, just had her first birthday! Anna is our third child, our first two are boys, so I was in heaven planning a little girls birthday party. 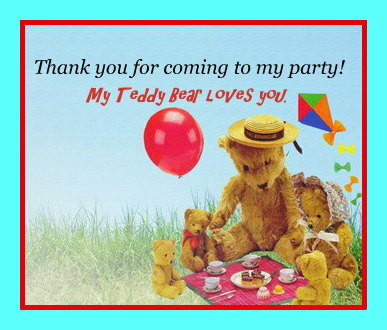 I wanted the theme to be “Teddy Bear Picnic.” My husband felt that it wasn’t girly enough, and although I always think I know better, I understand that she is his daughter too – so I changed it to Teddy Bear Tea Party. Husband was good with that! In this blog post you will (hopefully!) find some good party ideas. 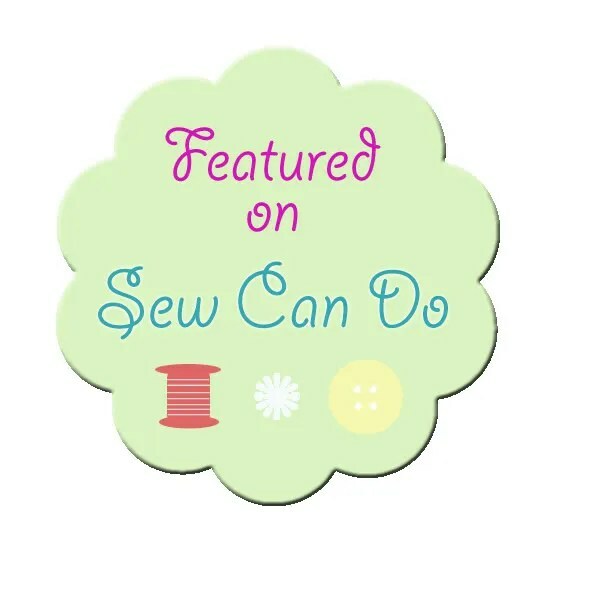 There is a link to a great dress tutorial and an apron tutorial, some excellent cake decorating ideas, instructinos for a beautiful flower and fabric banner and a table runner, and also a free teddy bear “thank you” printable at the end. 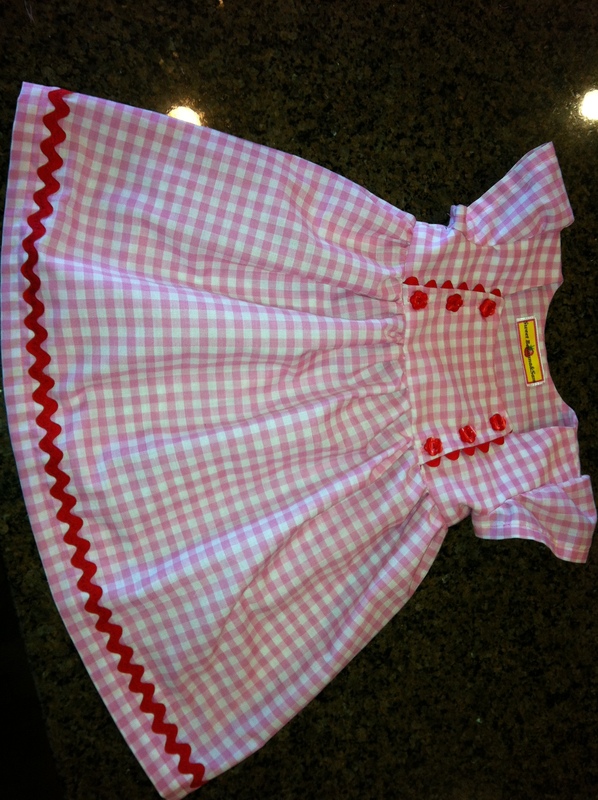 Leading up to the party, I made Anna a cute little pink gingham dress. I had pinned a tutorial awhile back on Pinterest (of course I have been pinning ideas for her first birthday practically since she was born). The dress tutorial was from the wonderful blog “Craftiness is not Optional, if you would like to check it out here it is: The Junebug Dress. I also made a little apron, since she was going to be hosting a tea party. 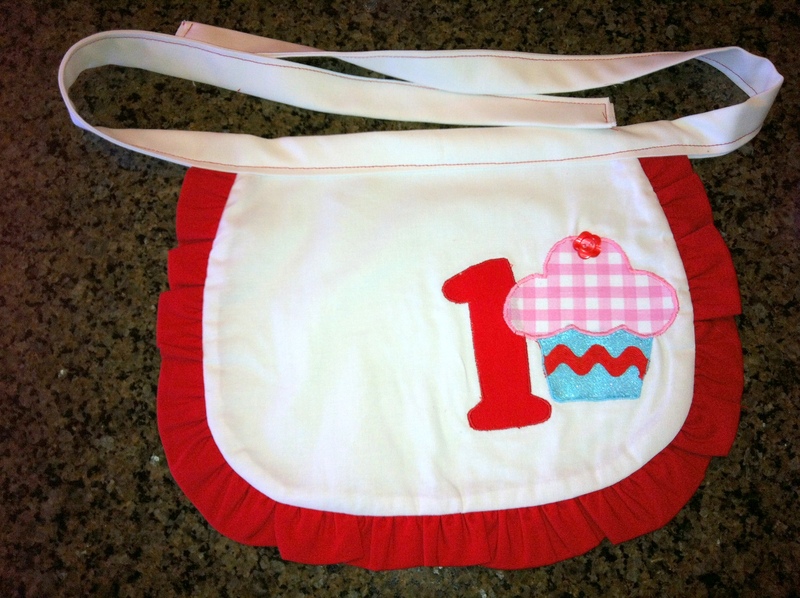 You can find the tutorial for her apron here: Sweet Cupcake Ruffled Apron. 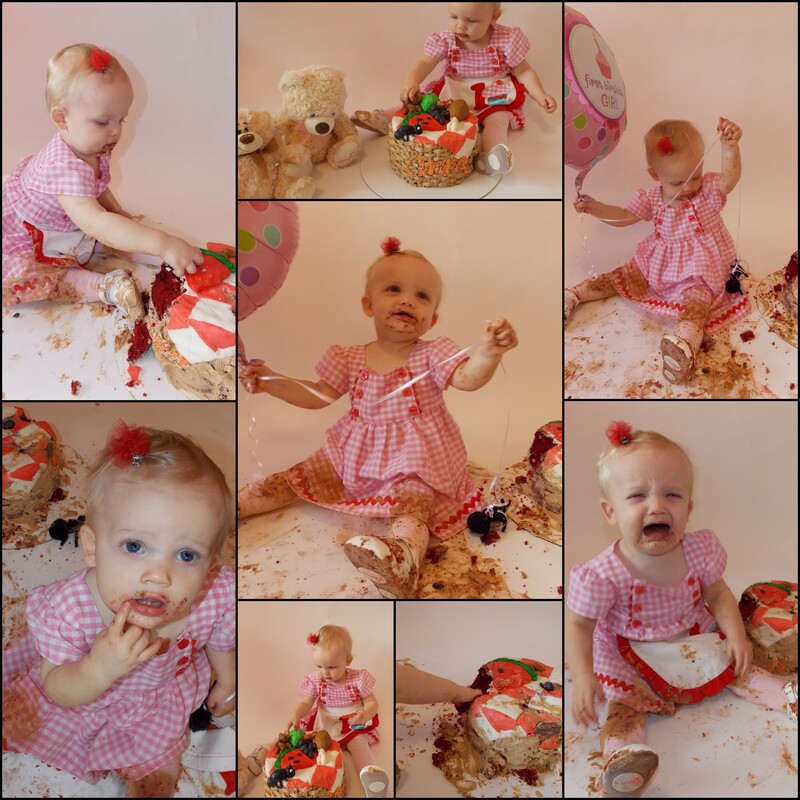 Over the past couple of years, cake smash photo shoots have become very popular. I did not do one with my boys but I couldn’t wait to do one for Anna! I made a cake. Okay I made a pretty fancy cake, considering she was just going to destroy it. It was actually pretty easy though, and I got to try out another idea from Pinterest. I made a round cake and crumb coated it. Then I made some sculptable icing. Have you ever heard of this? I hadn’t either, I always use fondant on my cake. The sculptable icing was definitely more pliable than fondant, but it was fairly easy to work with and I think it tastes much better! Plus my son had a great time playing with it and making his own icing “sculptures”. There is (of course!) a tutorial on how to make it. It comes from “The Decorated Cookie” and you can find all of the great instructions here: Sculptable Frosting. For my cake, I “sculpted” a gingham picnic blanket using pink and white squares of the frosting. I then rolled a little decorator tool over top to give it a quilted look. 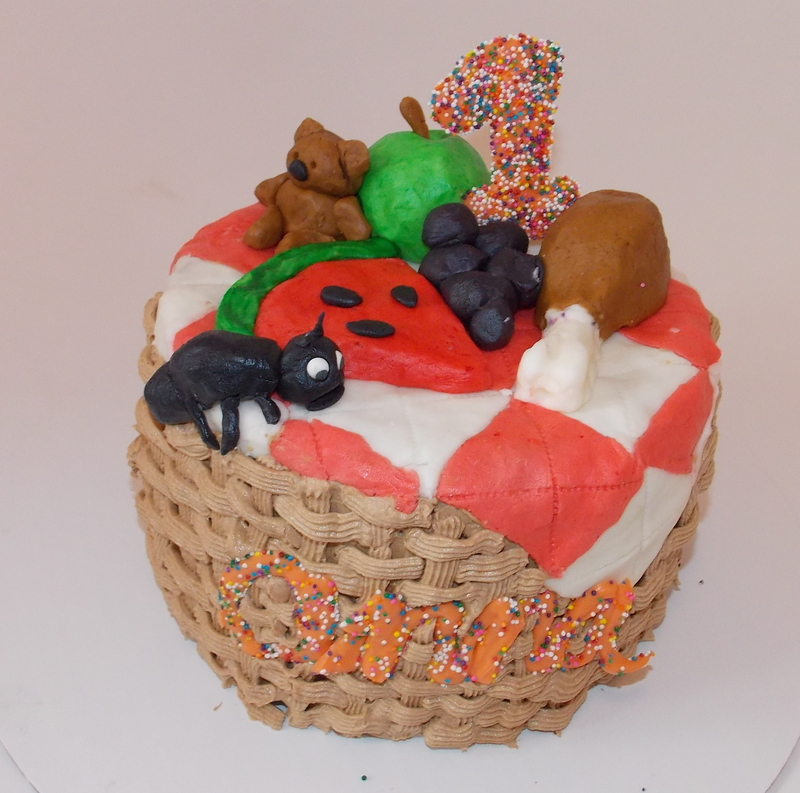 Then for the top of the picnic basket cake I made an apple, grapes, watermelon, a turkey leg (as per my son’s request) a little teddy bear, and an ant (what’s a picnic basket without ants?). I used a basket weave technique for the icing around the cake. It might look daunting but it’s actually very simple – just have a look at these instructions. I also made the number one and Anna’s name out of orange chocolate wafers and rainbow sprinkles. This is also very easy to do. Here is my method: Draw your simple design on a piece of paper (so for me I drew the number one) place the paper on a baking sheet, and put a piece wax paper on top. Melt your wafers in an OPEN ziploc bag in the microwave. Microwave for 20 seconds at a time, each time the microwave stops take the bag out and smoosh all of the pieces with your fingers. When the wafers are fully melted, snip a small corner off of the ziploc bag and quickly trace the outline of your design and then fill it in. Don’t worry if looks a little lumpy and there are holes, we are going to fix that. Now put the ziploc bag down and with one hand on each side of the baking sheet, bang it on the counter several times. Your design should smooth out and the holes should fill in. Take a handful of little sprinkles and sprinkle them over top of the chocolate. I like to put my chocolate designs in the fridge or freezer until they are fully hard. When you are ready to use them, carefully peel them off of the wax paper and decorate away! Since it is October and we live (almost) in the Arctic, Anna’s party had to be indoors. 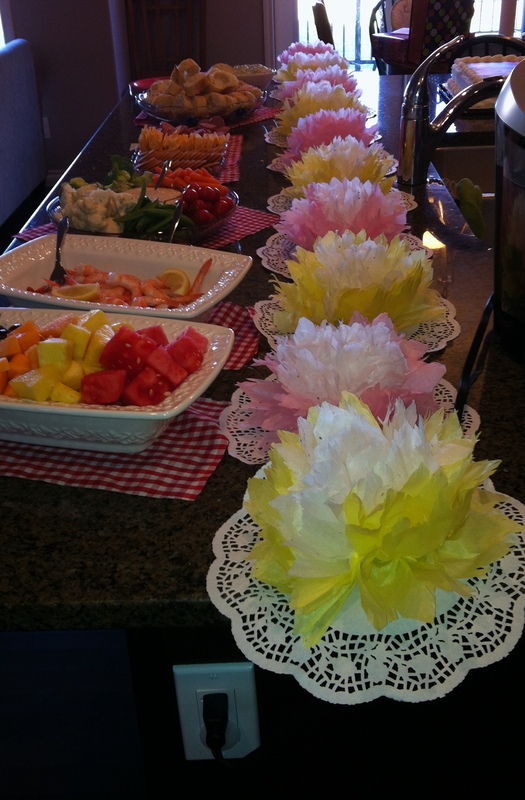 I wanted my house to look like a garden, so I made lots of tissue paper flowers. This was also an idea from Pinterest. There is a great tutorial on this subject from a blog called “Rust & Sunshine” she gives great instruction on how you can make all different types of flowers here: Tissue Paper Flowers. I made several of these flowers and put them in to vases. Then I did something a little different. I had a couple packages of 20 inch paper doilies. I decided to make a table runner using the doilies and paper flowers. To do this, I changed one thing about the flowers in the tutorial on Rust&Sunshine. Instead of having the pipe cleaner stem facing downwards, I twisted it so that it was facing towards the top of the flower. Then I cut it down to about 1 inch long. This made the bottom of the flower flat. I then got out my glue gun and glued one flower in the middle of each paper doily, then I glued the edge of each doily together to make one long table runner. Mine was ten doilies long. I made a mixture of white and yellow, and white and pink flowers. One of the other decorations I made was a name banner to go across our mantle. Again I used the tissue paper flowers. I made two and glued each one to a paper doily. These made the ends of my banner. Then I took a doily and traced the inner circle part onto a piece of paper to get the sizing for my letters. I freehanded the letters “A” and “N” inside of the circle on the piece of paper. This made sure that they would fit properly inside of the doily and that they were all the same size. I grabbed some scrap red gingham fabric and some heat n bond ultra. I ironed the bumpy side of the heat n bond onto the wrong side of my fabric. 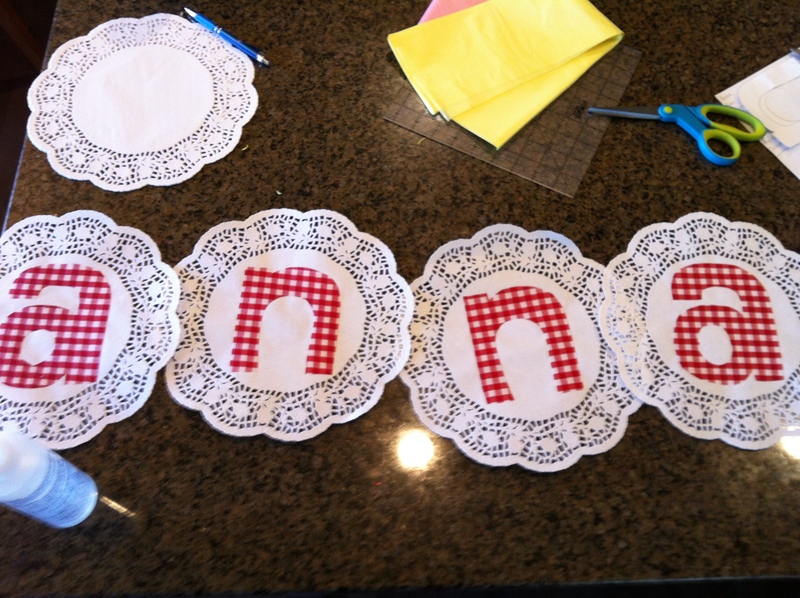 Next I pinned the paper letters to my fabric and cut out all of the letters for Anna’s name. I peeled off the back of the heat n bond and placed each letter onto one paper doily. Then I pressed each letter into place with my iron. Now I had six doilies – two with flowers and four with letters. I lined it up so that Anna’s name was in the middle and there was a flower on each side. Next I got out my glue gun and glued the doilies together, side-by-side. And it was done! I think it looked very pretty. The loot bags were a lot of fun. I got some brown paper craft bags from the dollar store, nothing fancy. Inside were some big gummy bears and Hershey’s kisses. 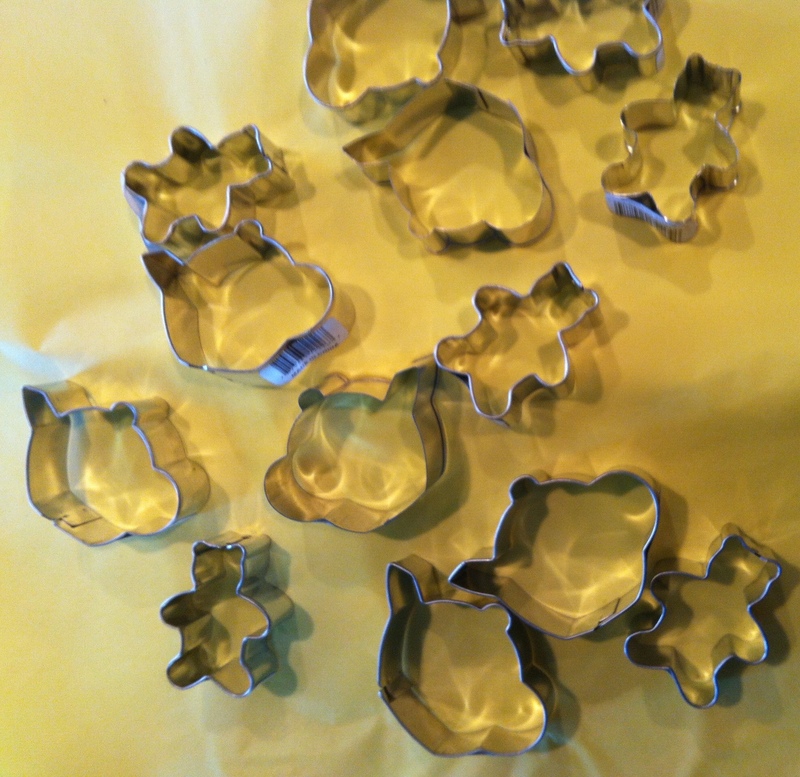 There were some other dollar store items also, but my favorite item in the goody bag was these little bear and teapot cookie cutters. I found them at our bulk store for .60 cents each, perfect price for a treat bag too. I can just imagine the children at home making tiny little cookies with their moms. Plus, if i’m being honest, I can’t wait to make some little cookies with them myself! I was also very proud of my “thank you” labels that I made to stick on the goody bags. 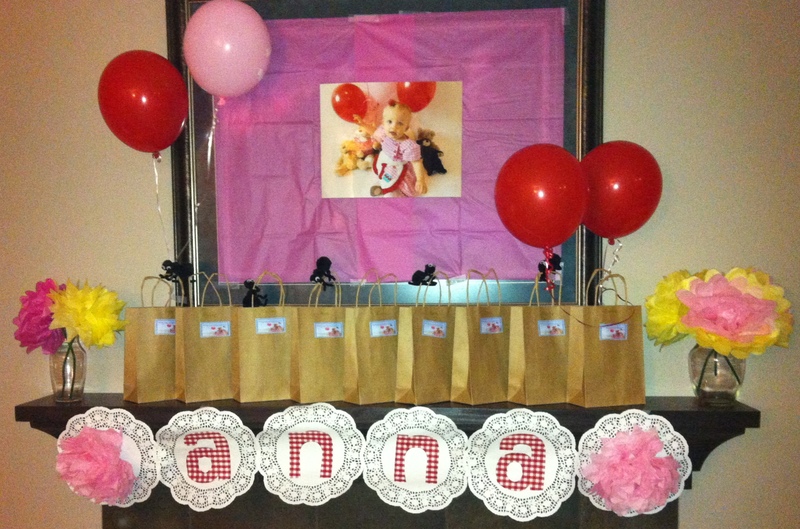 The little label that I made and glued onto the bags read “Thank you for coming to my party! My Teddy Bear loves you” awwwww!! 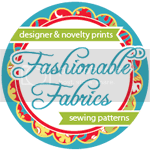 If you would like a free printable for your own party, here is the link: Thank you label There are six labels to a sheet, just print, cut and glue. Our party games were very basic, a must when entertaining one year olds! Every child brought their own teddy bear. For the first game we sat in a circle and did the nursery rhyme, “Teddy bear teddy bear turn around…etc” and the teddy bears did the actions to the nursery rhyme. When the rhyme was over, each child (or mom) took a turn saying “teddy bear teddy bear” and then an action, for example, “Teddy bear teddy bear give a hug” and then they had to make their teddy bear do the action. The second game wasn’t really a game, just a dance along to “Rock-a-bye-bear” by The Wiggles. We can’t get enough of The Wiggles in our house, and sadly I know ALL of the dance moves! So that’s about it, I hope you enjoyed this post. Thanks for stopping by! All of my best schemes seem to come to me while lying awake in the middle of the night. This was especially true of the whopper of an idea that I came up with a few weeks before Ben’s birthday party. Here is the back story. A friend of ours had recently married a man that she had been dating long distance for quite some time. He lives in California, she lives in British Columbia. We don’t really know him as we moved away from B.C a year and a half ago. So, back to my idea. A few days before my midnight epiphany, our friend had posted a picture of her new spouse on Facebook. He was dressed in this amazing movie quality Batman costume. Immediately I commented, “wow, too bad we didn’t live closer, I would love to have him at Ben’s birthday!” And our friend responded that he actually does go to parties dressed as Batman. Now fast forward to 2:00am when the light (in my brain) flashed on. What if our friend’s husband could dress up as Batman and record some short video messages for Ben and the guests at his party? Since it was supposed to be a superhero training party, he could tell them that they were all selected to be trainees and kind of introduce the activities. How could I possibly ask someone to go out of their way to do this for us? The next day I sent a message to his wife and I did ask. My friend’s husband not only readily agreed to film the videos, he actually seemed excited to do it! He filmed three short video clips and sent them to me. As I watched his handiwork, I was completely blown away! He had gone above and beyond anything I could have dreamed up at 2:00am. Well, I will show you and you can tell me what you think. Here is a link to the first video: Batman Video 1 This video welcomed everyone to the party and explained that they had been selected to participate in superhero training. After the children watched this video, they were broken up into smaller groups. We had four training exercises. One was an obstacle course through our playcentre. They had to climb up our little climbing wall, crawl through the play house, go down a twirly slide, then do a “superman swing” on their bellies on each of our swings. The next “training” activity was accuracy shot. It was basically just a corn hole game. Then they were on to the “Leap a tall building in a single bound” – which was just bouncing in our bouncy castle. I didn’t want to make the games too involved or difficult (these are four year old children we are talking about!) The last training game was animal rescue. I had filled our little blow up swimming pool with little balls and various small toy animals. For each child I told them which animal they needed to rescue and then they had to dive in and find their animal and “rescue” it. While they were watching this video, my husband spread 50 plus balloon swords all over the backyard. He and I had made them the night before while drinking some wine. Lots of fun. 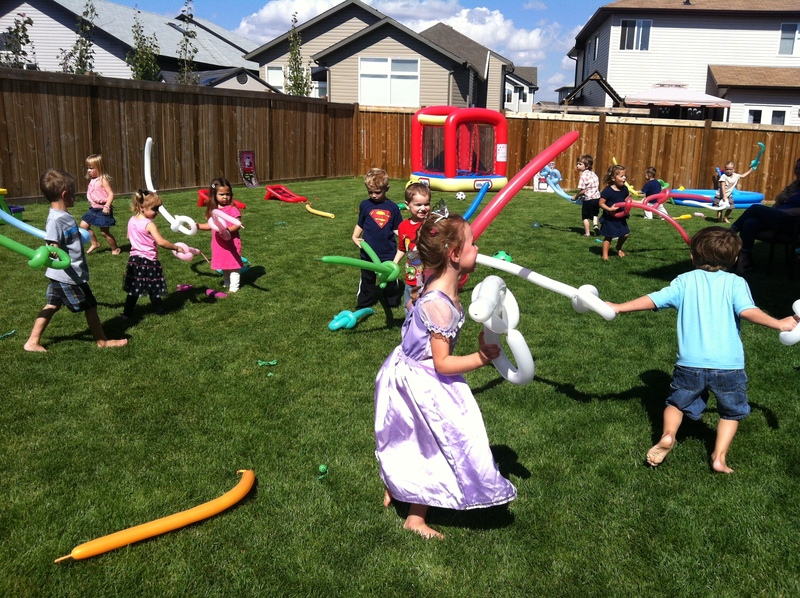 The kids then went outside and had a gigantic balloon sword fight, they had so much fun with this!! I onlywish we had made more swords. The children loved these movie clips. I did tape them watching them, however I can’t seem to find where I saved them on my computer, hopefully I will find them soon and I can post them here. This is going to conclude my series of Ben’s birthday party. I was going to do a fourth post about the cake and decorations, but quite frankly I am tired of writing about this party!! 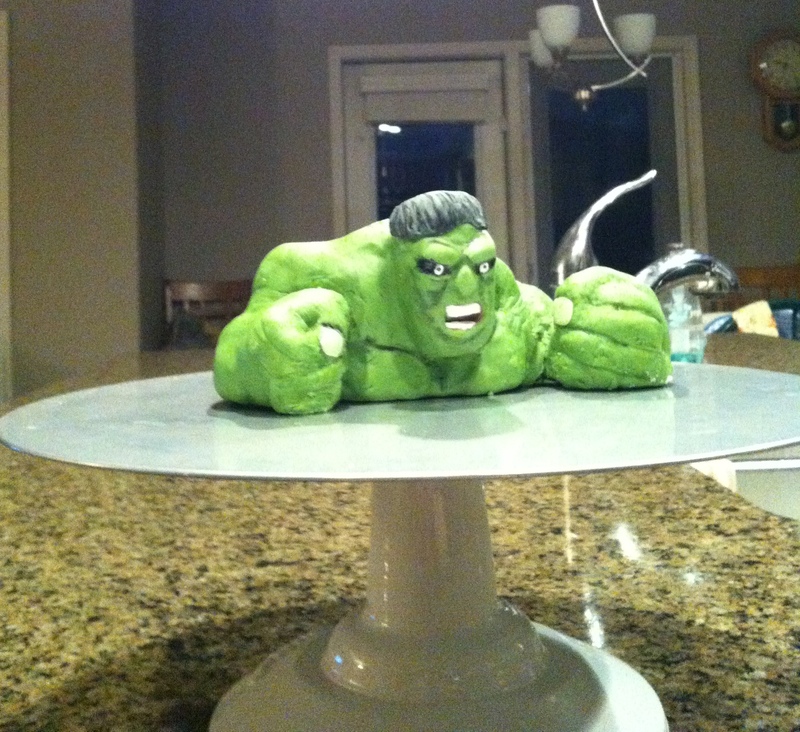 So I am just going to post some pictures of the Hulk cake that I made. Thanks for reading!! 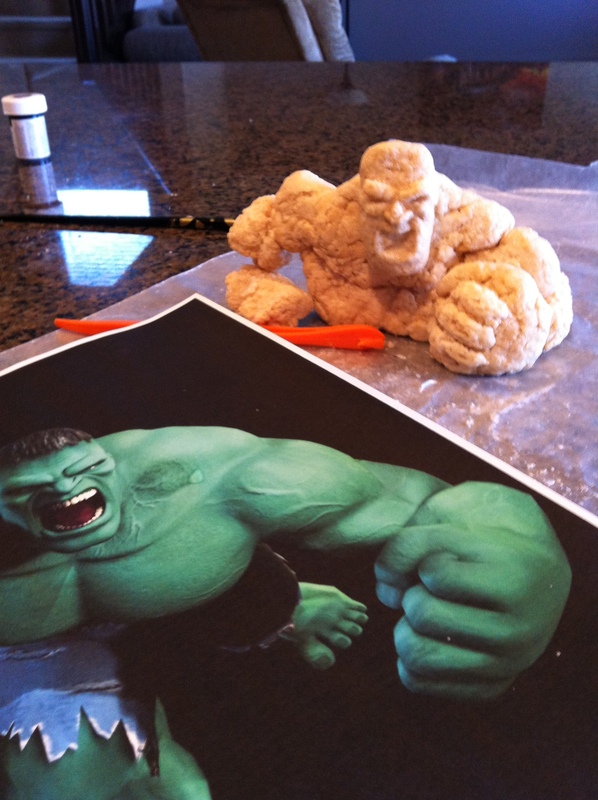 First I made the Incredible Hulk figure out of rice krispie treats. Raaah Hulk Smash! I used candy lego bricks to make it look as though the Hulk was smashing a brick wall. Ahh the comic book. This was meant to be a simple craft for a party favor. It turned into 20 plus hours of intensive crafting and labor. 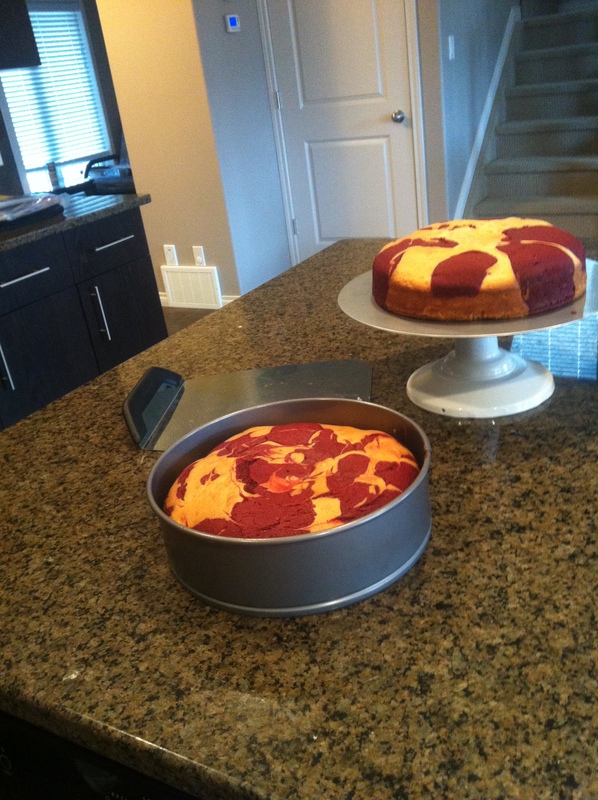 The finished product – so awesome! But yes, it took a long time to make. First of all, I created a story line. My story was about Superman and Batman saving the “Superbabies.” The story was pretty basic, but the intended audience was a bunch of four year old kiddies, so it worked well (when you use words like “goober-head”, they eat it up!). I used a program called GIMP. You can download it for free here: www.gimp.org. I was used to using paint, so it took quite a bit of playing around before I got the hang of using it. Actually the last several pages of my comic book looked much better than the first few since I got better at using the program as I went along. To make the pages: Once I had my story line, I gathered a bunch of background images from the internet. Google images helps greatly with this task, just put in whatever you are looking for such as “office,” or “sewer”. I created a folder just for Ben’s party and saved the images in there. 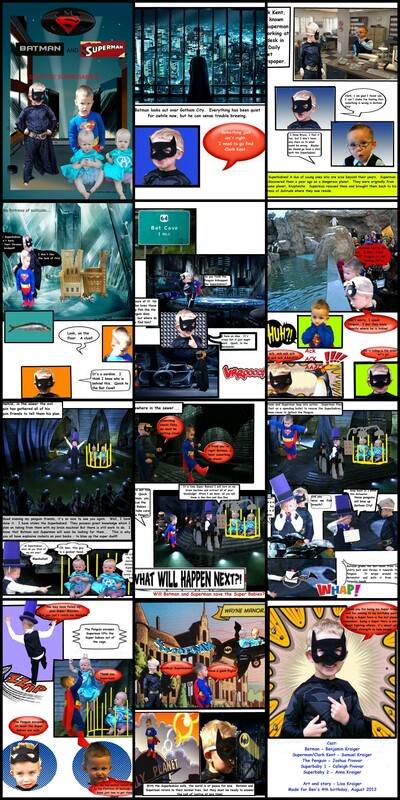 I also rummaged up other images with search words like “comic background” and “superhero comic words”. I cut and paste and manipulated the images to arrange them onto each comic page. Next I gathered images of word bubbles and I added in all of the text. Okay, so now that all of the pages are finished, they need some characters. My son, Ben, already had a Batman costume that worked. My other son, Sam, had a Superman costume. 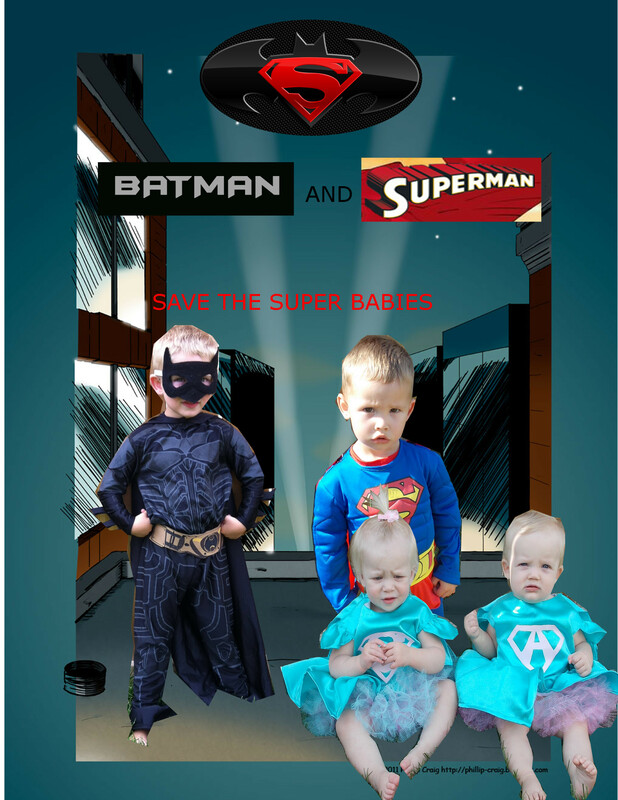 I needed some Superbaby costumes…oh dear, here comes a great excuse for a sewing project!! I wanted to make the girls some totally over-the-top superhero costumes. I rationed that they could use them again, maybe for Hallowe’en or playing dress up with their brothers. First came the pettiskirts. These things are so time consuming!! I chose some pink and blue tulle to make them, but I made each skirt a little different. One skirt had a blue layer on the bottom, and the second layer was pink. The other skirt was reversed. You will see the difference in my pictures at the end. 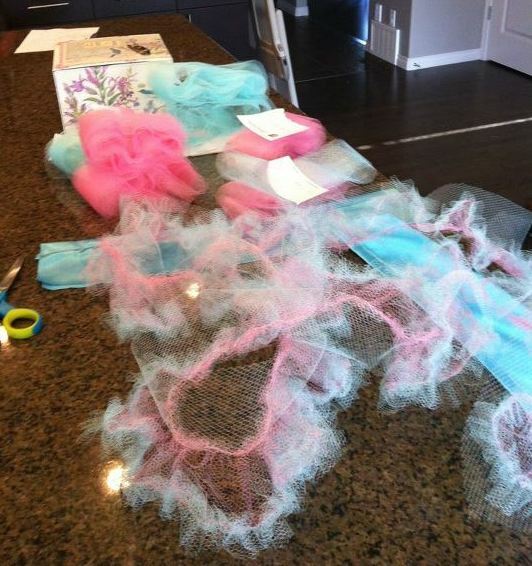 I used a great tutorial for the pettiskirts, which you can find here: http://www.craftster.org/forum/index.php?topic=298574.0 I have to say that having my kitchen covered in tulle makes me a pretty happy girl! I then designed a dress to go over top of the pettiskirts. I used my go-to basic bodice that I use for a lot of my dress projects. If you don’t know how to do draft your own bodice pattern, take a t-shirt with a good fit (not too tight!). Fold the t-shirt, and tuck the sleeve inside the armhole. Trace around the t-shirt about 1/2 inch from the edge for a seam allowance. For more on making your own bodice pattern visit this link: http://www.danamadeit.com/2008/07/tutorial-make-your-own-pattern.html I also cut a piece of fabric into the shape of a cape, and folded over the raw edge to hem them. 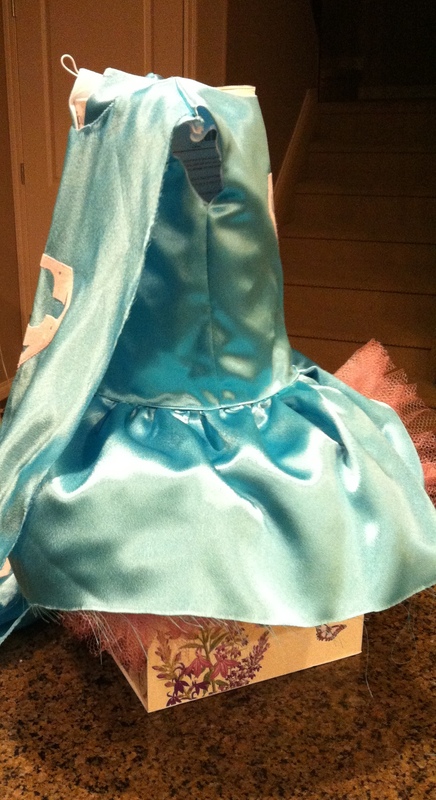 Then I made some appliques for the front of the dress and the cape. I wanted to do the superman symbol, but with my daughter Anna’s initial (A) and her friend Calleigh’s initial (C) instead of the S in the centre. To make this applique, I found a superman symbol online and printed it. I put the printed symbol under another piece of paper and traced the outline of the symbol, but left out the letter. I then drew their initials into the design instead. I cut the design out and there was my template for my applique. Another idea I had for these costumes was to sew the cape into the shoulders of the dress. 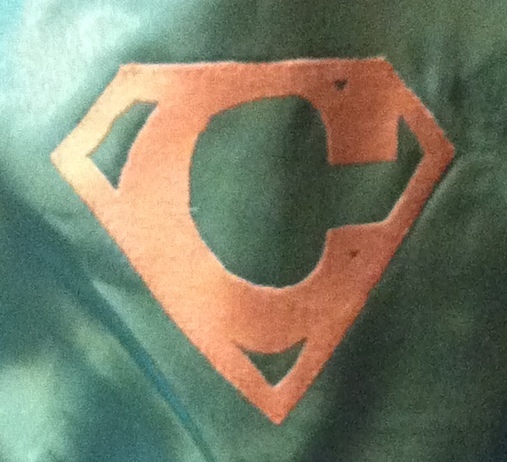 Having two boys, I have a lot of experience with capes! The ones that attach to the shoulders of costumes with velcro always come off easily. The other kind that attach around the neck never seem comfortable. When I cut out the cape, I left a little scoop, or half circle, at the top. I made sure that it would be big enough that the girls head’s could still get through. When I sewed the front and the back of the bodice together at the shoulders, I also sewed the cape in with it. It worked! A costume with the cape permanently attached. I wanted to add a skirt to the dress that had a little peek-a-boo in the front, as I was also making a little tulle pettiskirt to go underneath. I cut a rectangular piece of fabric, a few times wider than the bodice. I folded it, right sides facing out. Then I cut the ends on an angle slanting backwards. When I sewed it all together it gave a nice little peek at the pettiskirt underneath. The other costume I made for this project was a felt hat and bow tie for “The Penguin” The bow tie was easy. I followed this pattern here, http://thecreativemuster.blogspot.ca/2011/11/diy-and-free-download-perfect-sculpted.html I englarged the pattern to get it to the size that I wanted, and I also left off the back “ribbon” piece to make it look more like a bow tie. I then sewed it to a piece of elastic. The Penguin hat was a little more difficult, plus I probably made it a little too tall. 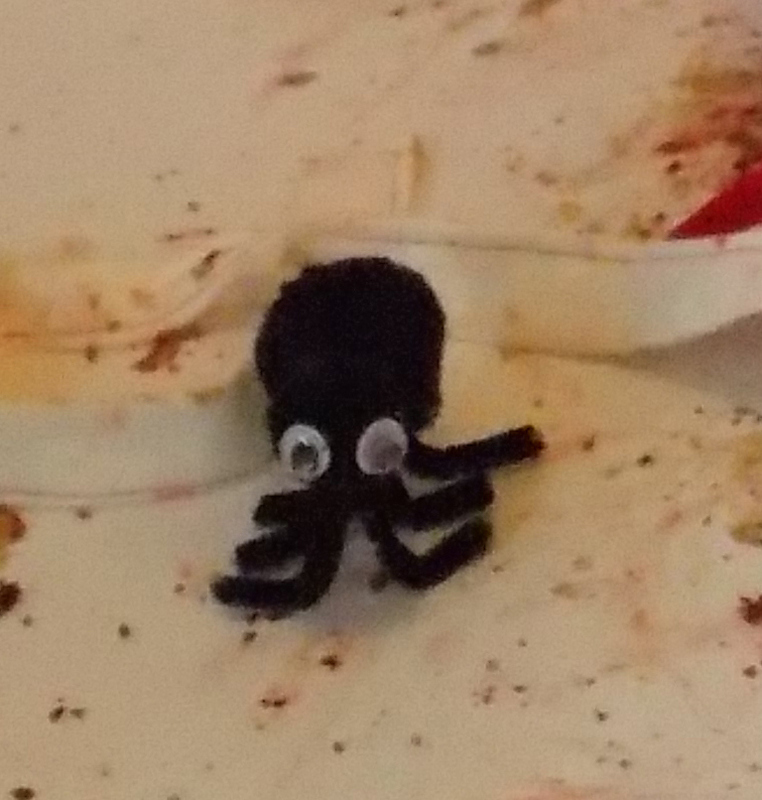 Materials used were: purple and black felt, cardboard (two kinds, regular cardboard from a box and lighter cardboard from a wrapping paper roll), glue gun, and elastic. I cut the cardboard from the wrapping paper roll to the length that I wanted it to be. I then put it around my son’s head as a guide for how wide it should be. You want it to be just a tiny bit bigger than the circumference of the head. I used my glue gun and glued it back into a circular tube. Then I cut out a circle of cardboard that would fit just inside the top of the hat. I covered both the circular tube and the circle for the top with felt, using my hot glue. Then I glued the circular piece on the top of the tube. Next I cut two of the same size oval pieces out of the regular cardboard for the brim of the hat. To get the size I wanted, I just sat the circular tube (or the top piece of the hat) on top of the cardboard and traced around a few inches out. Then I placed the top of the hat onto one of the pieces of oval cardboard. I traced around the base to get a circular shape. Then I cut out the circle (so now it kind of looks like a donut) I placed this piece on top of the second oval piece. I traced the circle, but when I cut the second piece, I cut the circle 1/2 an inch smaller. These two pieces will be glued together, and cutting it smaller will leave a bit of a lip so that the top of the hat can be glued on. At this stage, it’s very important to make sure that the oval piece of cardboard with the slightly smaller hole will still fit on the head. Okay, so then I glued the two oval pieces of cardboard together. I cut two pieces of purple felt to match the ovals and glued them on. Then I glued a strip of purple fabric around the edge so that no cardboard showed through. Then I put some hot glue on the lip on the inside of the oval and stuck the top of the hat on. I glued a black strip of fabric around the base of the hat. If the hat does end up being a little small, you can glue a piece of elastic on the inside to go under the chin. Mine wasn’t too small; rather it was too tall and wobbly! Phew, almost done (or not!). The last part of the project was to get all of these great images into the comic book. I opened up my comic book pages and used the free select tool to cut out each image and then paste them into the comic. Of course I had to play around with the sizes and make sure they lined up with the word bubbles, and edit as needed. I then had to print out 20 copies of each page! (This takes a lot of ink, I may have had a certain someone do this at work instead of using my own ink) You could also print out one copy and then take it to a copy store for the rest. 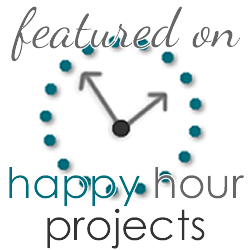 Okay, so now I am sure you are dying to see the finished project. Here it is, all ten pages! When your husband tells you that every child from your son or daughter’s class needs to be invited to their birthday party so that no one feels left out, you need to stop him right there. Inviting 20 plus children to any party is just sheer madness. It’s even worse for the crafty DIY mommies who feel the need to make everything themselves, so much work and effort is put into every little detail. 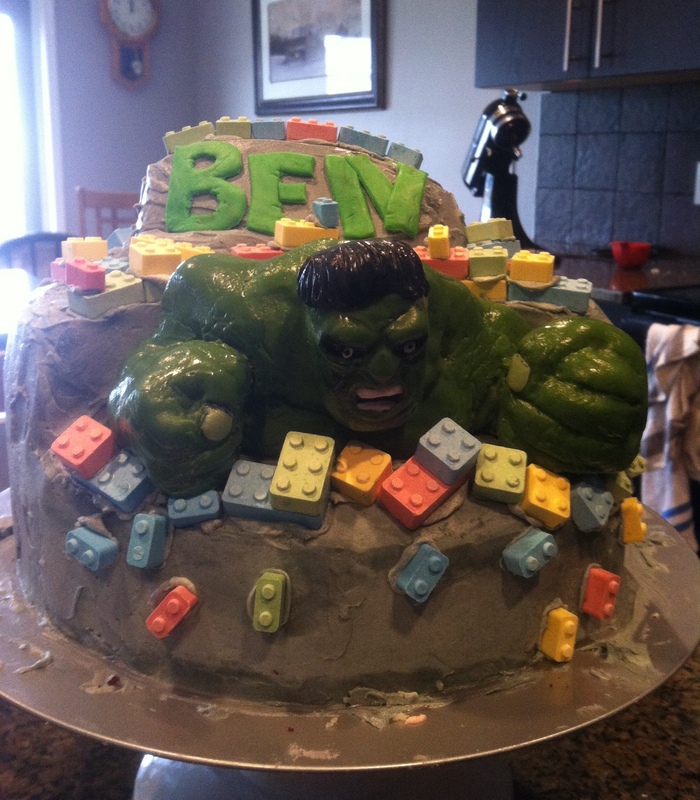 So yes, this is what happened for my son, Ben’s, fourth birthday party. Only I didn’t tell my husband he was crazy. I invited those 20 plus children. And although it went pretty well, I am saying now that this will never happen again! 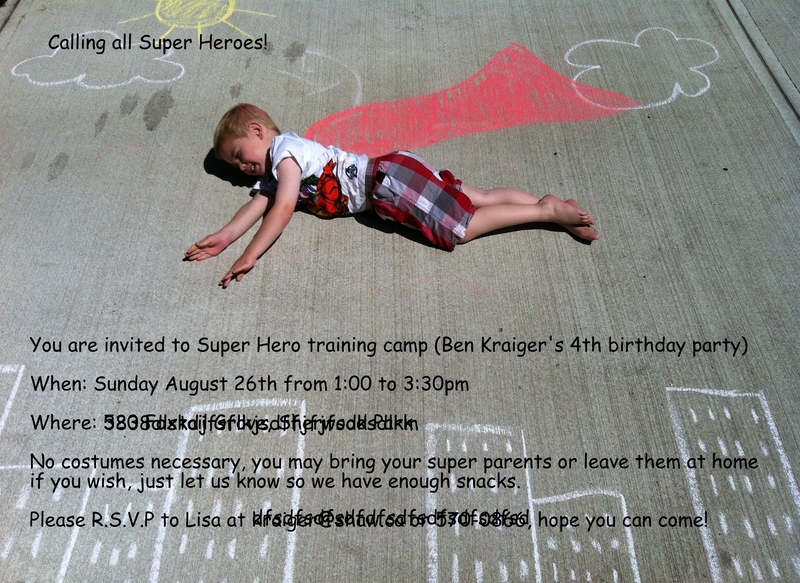 Ben chose Superhero as his birthday theme again this year. 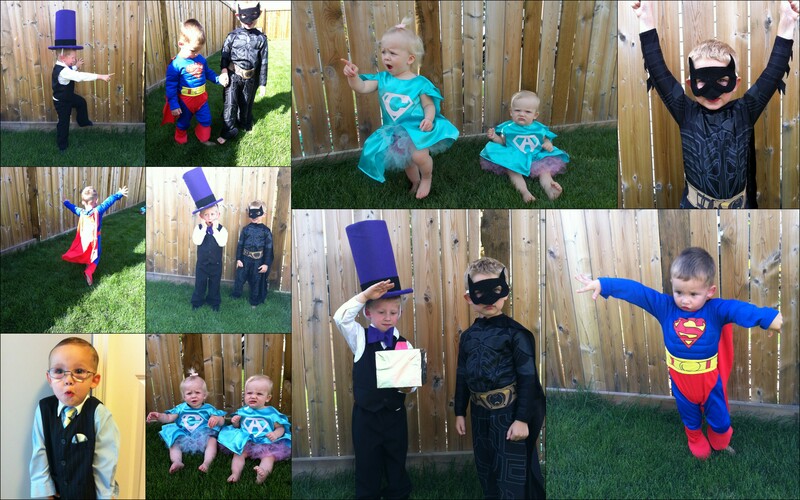 We decided to make it a Superhero training party and give them a few “training” exercises to wear them out. I will get to those in a later post, but for now I wanted to share his invitation with you because I thought it was cute and clever. I saw this idea on Pinterest a few months ago and wanted to try it out. I took Ben outside in front of our house and we spent about twenty minutes drawing buildings, a sun, and clouds with sidewalk chalk on our driveway. Next I had Ben lye down on our driveway and I drew a billowy red cape behind him. I then had him put his hands out like he was Superman flying through the sky. I am not a great photographer, it took a few tries to get him in the right position and make it look like he was flying. Ben was a great sport, and I think the photo turned out well! Next I edited the photo on Picasa and added some text. Voila, invitation finished. 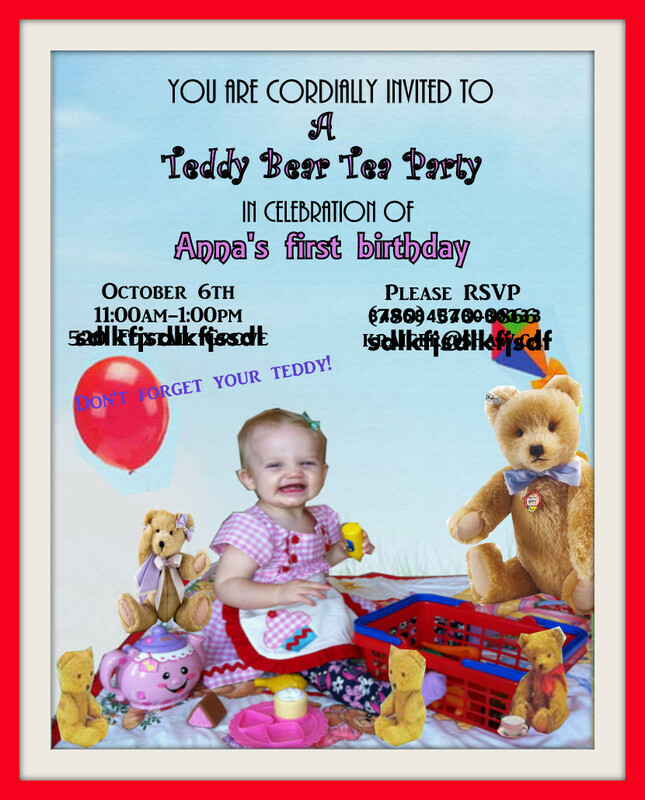 I chose to e-mail out his invitations but you could also have the picture printed and send it out. Part 2- The Comic Book is coming tomorrow. It’s quite spectacular, you won’t want to miss it!